Serena Williams squandered four match points and blew a 5-1 lead in the deciding set as seventh seed Karolina Pliskova produced a fightback for the ages to claim a 6-4 4-6 7-5 quarter-final win over the American great at the Australian Open on Wednesday, Reuters reports. “That hasn’t happened. But I do like my attitude… I’ve only been playing 10 months, but I expect to win, and if I don’t, it’s disappointing. 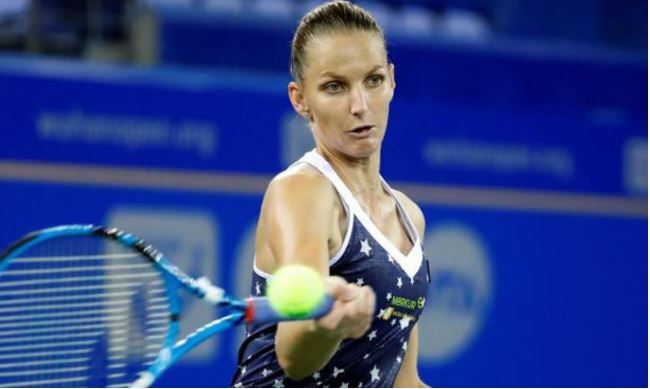 The 26-year-old former world number one, chasing her maiden Grand Slam title, is the second Czech into the semi-finals after double Wimbledon champion Petra Kvitova thrashed home favorite Ashleigh Barty on Tuesday to book a match with Danielle Collins.